Mae Hong Son Province (Thai: , ; formerly called Mae Rong Son), also spelled Maehongson, Mae Hong Sorn or Maehongsorn, is one of the northern provinces (changwat) of Thailand, on the countrys western border. Neighboring provinces are (clockwise from north) Shan State of Myanmar, Chiang Mai and Tak. To the west, the province borders Kayin State and Kayah State of Myanmar. 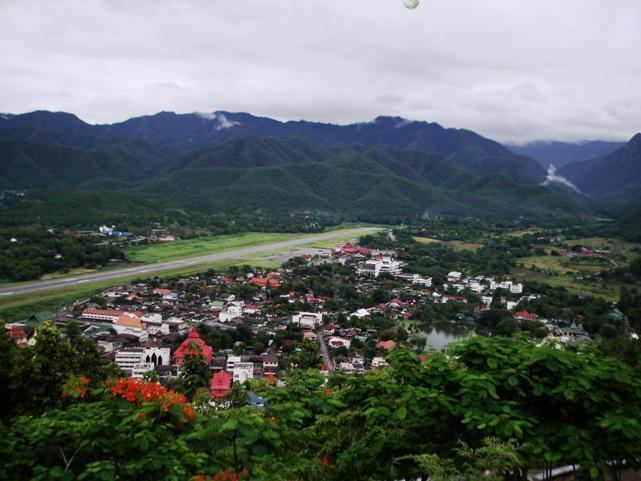 The name Mae Hong Son means "the city of three mists". 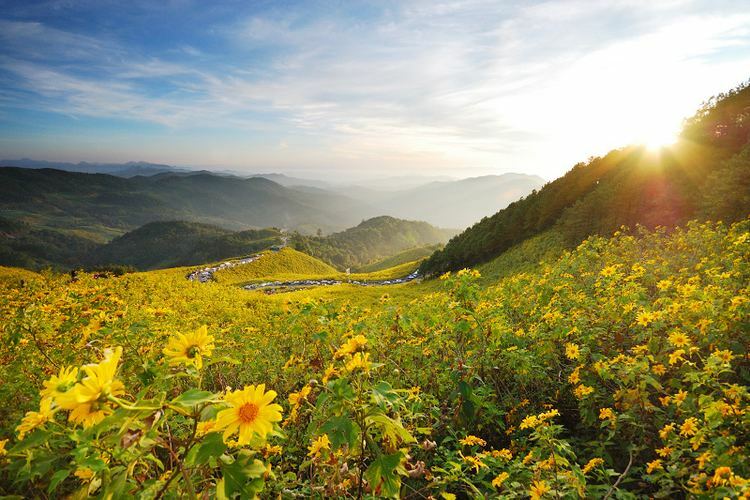 It is hemmed in by the high mountain ranges of the Shan Hills and is the most mountainous province in Thailand and is occupies 13,814 square kilometres (5,334 sq mi). The province is covered with mist throughout the year and its terrain is highly suitable for the training of elephants. 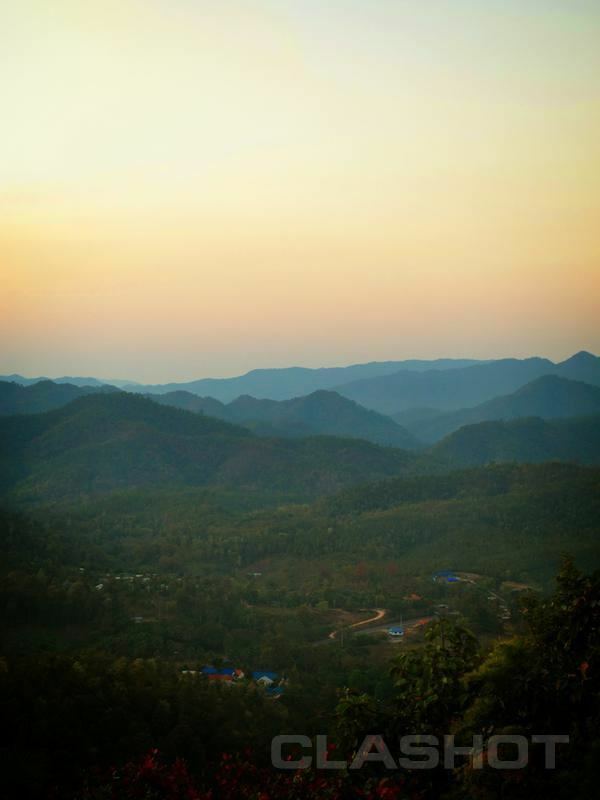 Most of the areas of Mae Hong Son Province are the complex mountain ranges of the Thai highlands, parts of which are still covered with rain forest. Of the approximately 6,976,650 rai of national forest reserves, it is estimated that 88.02% is pristine virgin forest. The Daen Lao Range, in the northernmost portion of the province, marks the northern boundary between Thailand and Burma, while the Dawna Range in the west serves as the boundary between Thailand and Burma. The Thanon Thongchai Range in the east of the province serves as the boundary between the provinces of Mae Hong Son and Chiang Mai. The highest point of the province is Doi Mae Ya (??????????? ), in the Pai District in the provinces northeast, at 2,005 metres (6,578 ft) elevation. Tourists are attracted to the area due to its forests, mountains, valleys, indigenous wildlife and hill tribes. Thai Yai (Shan): The Thai Yai reside along the northern border with Burma. Karen people: The Karen themselves are not one single group, but rather a mix of closely related tribes. Padaung is a Karen language from the Shan State and the Kayah State. Among the smallest of the Karen tribes in Thailand are Kayan Lahwi—this groups women are recognized by the large brass rings they wear around their necks. Nam phrik ong - a type of Nam phrik chili paste that is made of minced pork and tomatoes. It is usually eaten with soft-boiled vegetables, pork crackling or deep-fried crunchy rice cakes. Nam phrik num - another kind of paste that is popular in the north and eaten by Thais of all regions. It is often eaten with pork crackling. Sai ua - a local sausage that is very aromatic and spicy, and usually is eaten with sticky rice. Kaeng Hang-Le - a northern-style pork curry. Kaeng Om - a spicy curry made with intestines. Kaeng khae - a spicy vegetable curry. Khanom Chin Nam ngiao - a traditional northern chicken noodle dish. Khao Soi - a noodle dish that can be made from chicken, pork, or beef. It contains coconut milk and is garnished with garlic. Khao Som - cooked rice mixed with turmeric and tomato. Eaten with fried chilies and green peas. Khao Lhueng - cooked rice mixed with turmeric. Made into a small ball and sprinkled with fried onion. It is usually eaten with pork balls. Khaow Kan Chin - cooked rice mixed with the blood of fowls and steamed with fried onion. It is eaten with fried chilies. Tau Pae Lau - fried soybeans with salt. Souy Tamin - a dessert, made of sticky rice, coconut milk, and cane sugar.